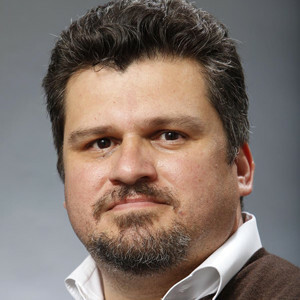 Ruben Navarrette Jr. is a nationally syndicated columnist with The Washington Post Writers Group whose twice-a-week column appears in nearly 150 newspapers. This makes him the most widely read Latino columnist in the country, known for his unpredictability and provocative thinking. He challenges both political parties with equal enthusiasm, and his column is required reading for anyone who wants to better understand the nation’s 52 million Latinos. Navarrette is also a CNN contributor who writes a weekly column for CNN.COM on the issues of the day. His columns often provoke strong reaction, racking up as many as 800,000 page views, 11,000 reader comments and dozens of emails. On television, Navarrette has appeared on CNN’s Lou Dobbs Tonight, CNN’s Inside Politics, CNN’s Paula Zahn Now, CNN’s Anderson Cooper 360, The Chris Matthews Show, Fox News Channel’s The O’Reilly Factor, Fox News Channel’s Fox and Friends, MSNBC’s Hardball with Chris Matthews, PBS’ The NewsHour with Jim Lehrer, PBS’ NOW with Bill Moyers, CNN’s Erin Burnett Outfront, CNN’s Rick’s List, and other shows. He also served as a panelist on the PBS’ All-American Presidential Forum in June 2007, a primetime event where he joined moderator Tavis Smiley and other panelists in posing questions to Democratic presidential candidates. On radio, Navarrette has appeared on nationally syndicated radio shows hosted by Bill Bennett, Lars Larson, Michael Reagan, Linda Chavez, and Laura Ingraham. He has dozens of interviews on local radio shows and Sirius/XM. His writing has been praised on the nationally syndicated radio show hosted by Rush Limbaugh, where the host once read one of his columns to the show’s 20 million listeners. He has been a commentator on National Public Radio’s Tell Me More w/ Michel Martin, Talk of the Nation, The Diane Rehm Show, All Things Considered, and Morning Edition. A radio talk show host who, in 1994, had a three-hour daily show in Los Angeles, he has been a guest host in Phoenix, Dallas, San Diego, and Fresno, CA. He has also served as a guest host for the nationally syndicated The Michael Medved Show, which airs in more than 200 markets. As a freelance writer, Navarrette has contributed to The Wall Street Journal, The Denver Post, The Chicago Tribune, Texas Monthly, Hispanic Magazine, Latino Magazine, PODER Magazine, USA Today, VOXXI.COM, & TIME.COM. Navarrette is the author of A Darker Shade of Crimson: Odyssey of a Harvard Chicano (Bantam, 1993). He’s also a contributor to the popular Chicken Soup for the Soul series, having published essays in both Chicken Soup for the Writer’s Soul and Chicken Soup for the Latino Soul. He has also contributed essays and columns to more than a dozen books, including Writing About Diversity (Harper-Collins), Debating Affirmative Action (Dell), Multicultural Reader (Kendall/ Hunt), The Resourceful Writer (Harcourt Brace Jovanovich), and The Latino/a Condition (NYU Press). He is a graduate of Harvard College where he earned a Bachelors Degree in History in 1990 and a 2000 graduate of the John F. Kennedy School of Government, where he earned a Masters’ in Public Administration. After college, he served as an extern for US Appellate Court Judge Alex Kosinski, taught at the K-12 level, and taught at California State University Fresno. He spent 12 years working for three major US newspapers — The Arizona Republic (reporter/metro columnist), The Dallas Morning News (member of the editorial board), and The San Diego Union-Tribune (member of the editorial board). His awards and distinctions include being invited to judge the competition for the Pulitzer Prizes in 2013, and being nominated for the Pulitzer Prize in Commentary by the Washington Post Writers Group in 2012. He also won notoriety for being a finalist for the Distinguished Writing Award for Editorial Writing from American Society of Newspaper Editors in 2008, winning 3rd Place in Column Writing in the National Headliners Awards in 2006, winning 1st Place in Column Writing from the California Newspaper Publishers Association in 2006, winning 2nd Place in Column Writing in the National Headliners Awards in 2004, and winning 3rd place in the Columnist category of the awards competition of the Arizona Press Club. He has also been invited to participate in several foreign leadership exchange programs, including the America’s Voice in Israel program in Jerusalem, the British American Project in Oxford, the Mexican/Mexican-American Solidarity Foundation Conference in Mexico City, the American Swiss Foundation in Zurich. Navarrette lives in the San Diego with his wife, and three children.